“What happens in Vegas, stays in Vegas” is a popular saying when it comes to this desert metropolis, famous for its casinos, great food and amazing shows. But of course, no visit would be complete without taking home a souvenir, and for that, you might want to visit one of these watch boutiques. Jaeger-LeCoultre has a beautiful brand boutique located on the Strip, in one of Las Vegas most iconic casinos; Ceasar’s Palace. High complications, an incredible range of Reversos, as well as the brand’s iconic Master-collection are present. Surprizing might also be that they stock almost the entire line-up of the legendary Atmos clock. In the Bellagio Hotel and Casino we find Breguet with their spacious brand boutique. The fifth of the brand’s own boutique to open in the US, it offers not only an incredible collection of tourbillons, but you can also find their classic dress watches with the famed guilloche dials, as well as most of the Reine de Naples collection. 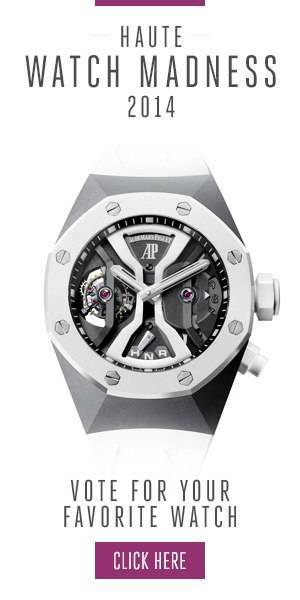 Las Vegas is also home to Richard Mille, who we can find at The Shops at Crystals. Clients who enter the boutique are welcomed by a seven-foot-tall sculpture of one of the maestro’s creations. Inside, you can explore the fast-paced and innovative world of Richard Mille, and don’t be surprised when they actually have many of his highly limited watches on display. In the Forum’s Shops at Ceasar’s, we find Hublot, where a knowledgeable staff is ready to introduce you to the “Art of Fusion.” Of course, many varieties of the Big Bang are available, but also the Classic Fusion and Spirit of Big Bang can be found on display, along with the latest novelties of the brand. At the Palazzo Resort Hotel Casino, you can submerse yourself in the many facets of the world of IWC. Whether you opt for a sportive watch from the Aquatimer or Ingenieur collection or prefer a classical masterpiece like the Portofino, or the latest Da Vinci, this is the place to be. Rolex is present in Las Vegas with two brand boutiques: One located at The Forum Shops at Caesars, and one in the Wynn Encore Hotel. A large collection of Datejust and Day-Date models will await you, along with the more sportive Daytonas and Submariners, as well as the classical Cellini-collection. The masterpieces of Vacheron Constantin can be found at The Palazzo Resort, Hotel, & Casino. From their ultra-slim dress watches to the high complications, as well as the Métiers d’Art collection of the brand, they are all ready to try on. If that is not enough reason for a visit, the new Overseas collection is available to try on as well! Dates On Dress watches: What Date Suits You?